702 pages | 3 B/W Illus. 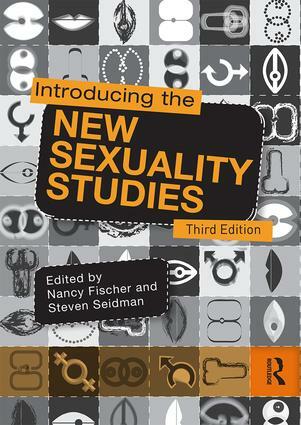 Introducing the New Sexuality Studies is an innovative, reader-friendly anthology of original essays and interviews that introduces the field of sexuality studies to undergraduate students. Examining the social, cultural, and historical dimensions of sexualities, this anthology is designed to serve as a comprehensive textbook for sexualities and gender-related courses at the undergraduate level. The book’s contributors include both well-established scholars, including Patricia Hill Collins, Jeffrey Weeks, Deborah L. Tolman, and C.J. Pascoe, as well as emerging voices in sexuality studies. This collection will provide students of sociology, gender, and sexuality with a challenging and broad introduction to the social study of sexuality that they will find accessible and engaging. Nancy L. Fischer is an Associate Professor of Sociology and Director of Urban Studies at Augsburg College in Minneapolis, Minnesota, USA. In 2009, she chaired the American Sociological Association’s Section on Sexualities. In 2013, she edited a special section of The Sociological Quarterly on Critical Heterosexuality Studies. Besides sexuality, her research interests include a project on the US secondhand and vintage clothing industry. Steven Seidman is a Professor of Sociology at the University at Albany (SUNY) and world renowned in the field of sexuality studies. He has authored many books, including Romantic Longings (Routledge), Embattled Eros (Routledge), Beyond the Closet (Routledge), The Social Construction of Sexuality (Norton), and, recently, Intimacies (Routledge).